A total of 41 terrorists belonging to the Islamic State (ISIS) group have been killed in bloody clashes with the Kurdish People’s Protection Units (YPG) at different places in Syria. 24 of them were killed in a school in Kobane whereas 17 lost their lives in an armed clash between the two groups at Mashtah Nour. 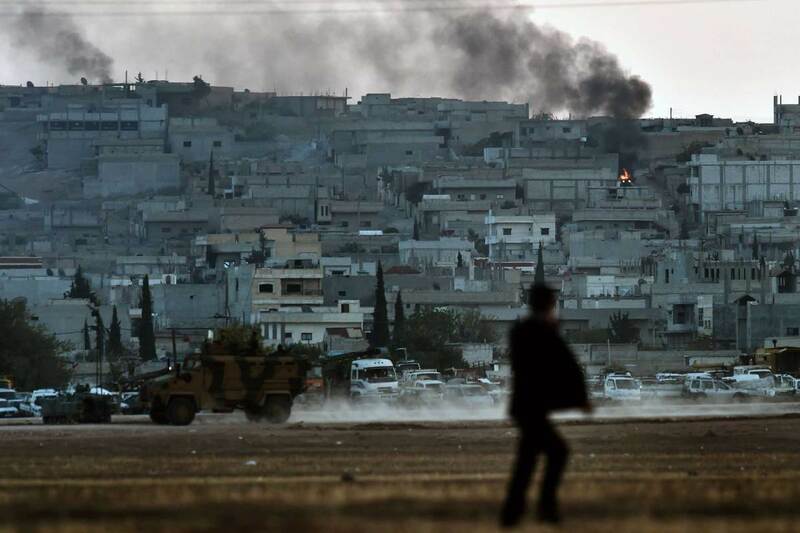 The fiercest clashes occurred in Kobane, a predominantly Kurdish city which has been ravaged due to pitched battles between the two groups since the last four months. The Syrian Observatory for Human Rights said the IS militants died in firefights and ambushes set up by the YPG in the surrounding of the al Muhadatha School in the city of Kobane. The IS militants were trying to attack the YPG guerillas housed up in the school in a failed attempt to recapture it. In addition to that, 17 IS fighters and 7 YPG fighters in Ayn al-Arab as the two groups clashed in the northern neighborhood of Mashtah Nour. Two civilians were also killed as the IS led a fresh mortar attack against that key city. The YPG group gets regular information about the movement of jihadis in the area from a network of activists and medics, due to which fighters belonging to their Kurdish community have now been able to control a greater part (80%) of the Kobane city. Earlier in September, the IS had launched an assault on this strategically located city and come close to establishing their hold over it. The Kurdish fighters were able to recapture the city with help from U.S. backed air strikes. Located on the Turkish border, the city ha always been a bone of contention between the two warring groups because of its location. Elsewhere in the war-ravaged country, the US-led anti-terror coalition carried out a number of airstrikes against the IS positions in Ayn al-Arab. These air strikes destroyed four trucks outfitted with machine guns and armored vehicle belonging to the terror group, said the Observatory.